This topic feels a bit like discussing how long a piece of string is. 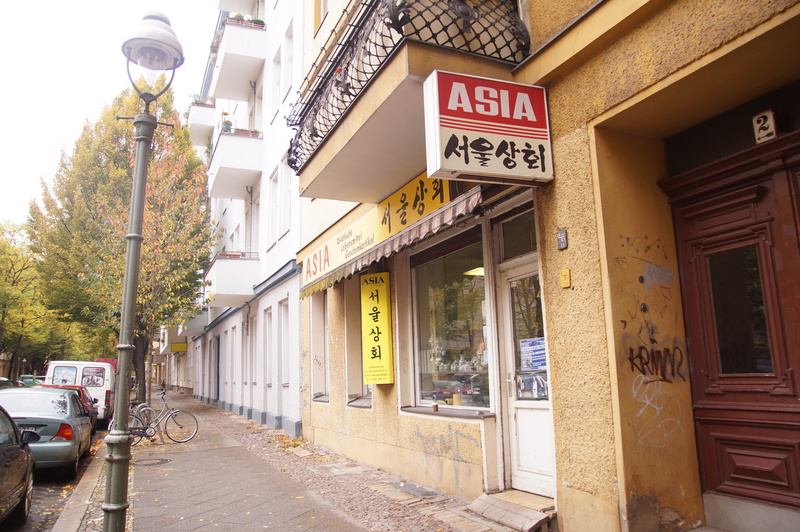 Unlike other parts of Germany, ahem, such as in the south, there are many Korean establishments in Berlin. Many nurses from Korea ended up in Berlin during the Gastarbeiter wave of the ’60s-’70s, and I know several second generation Korean Germans as a result of this immigration movement. I got to visit Berlin twice last year, so here are some of the Korean restaurants/grocery stores that I managed to try during those visits. While attending a wedding in the Hauptstadt last October, this Korean family didn’t mess around and only went to Korean restaurants (outside of the wedding festivities of course. Oh my gosh. Could you imagine? Pulling out a dosirak [Korean lunch box] full of rice, kimchi and dried fish during Kaffee und Kuchen or at the stylish Swiss restaurant where the party was? That wouldn’t have been conspicuous at all!] We also stocked up on Korean groceries while we could. As I’ve mentioned before, our Polish Au Pair was equally as enthusiastic. and whatever else has run low in the pantry or freezer: sesame oil, sweet rice flour, dangmyun (sweet potato noodles for jabchae), etc. Oddly enough, googling “koreanischer Laden Berlin” or “koreanische Lebensmittel Berlin” does not give any clear guidance. Both my husband and I were none the wiser after looking through a few result pages, so he suggested that I get in touch with one of the aforementioned Korean German friends from Berlin. Eun Young came through with a number of helpful suggestions. By the way, she lives in Frankfurt right now where she occasionally offers Korean cooking courses at Kochhaus Frankfurt Bockenheim. Her elegant menus are based on classics but tastefully and thoughtfully adjusted to the Western/German palette: vegetarian and meat mandu (dumplings), bulgogi (marinated grilled beef) with Korean-style cucumber salad and rice, and green tea muffins with exotic fruit salad. I love this sort of example of the second generation figuring it out and getting it right. Eun Young is a go to source for Korean food in Germany, not just in Berlin, so I’m planning on interviewing her here in the future! I’m so glad that we got her advice, since she sent us to a long-standing Korean grocery store of Berlin called Seoul Laden which can be found on Bredowstr. 2, 10551 in the Moabit part of town. It’s a discreet shop on a side street from Turmstrasse, not far from the U-Bahn stop. We were able to find everything on our list, and the owner was helpful and polite. My litmus test is how someone reacts to my Korean. I recall one time in a Korean beauty salon in London when the hair dryer (I mean a person, not device) laughed when I used the wrong set of numbers (in case you don’t know, there are two: one purely Korean and one based on Chinese numbers) for whatever it was that I was describing. Yes, I felt a little bit embarrassed after that, but it was also typical. But this shop’s ajussi (defined as middle-aged man/uncle) was much kinder. I was referring to kilos of rice and said, “daseot kilo” and he gently corrected me by confirming that I needed “oh kilo.” In addition to being grateful for his kindness with my Korean, we were happy to spend our money at this shop, probably thinking of our parents and their generation of fellow immigrants, especially when we rounded the corner and found one of several Pan-Asian grocery stores that have been springing up in Berlin called Go Asia. Go Asia was fun to shop in. (That’s the entry hall in the picture above.) It is a supermarket and has aisles of soy sauce and aisles of noodles and aisles of porcelain rice bowls and a refrigerated aisle of tofu. There’s also a small bakery baking and selling Asian pastries and cakes when you walk in. You can get Korean ingredients here, but for certain special things such as dried fernbrake (gosari) or dried pollack (bug-eo), you’d have to go to a Korean grocery store – like the one around the corner. As a bonus, I’m going to mention another Korean restaurant I tried last July. Like many details in my life since 2006, I cannot for the life of me remember how I first heard about this place, but I recall some hype around the restaurant Kimchi Princess, (Skalitzerstr. 36/Manteuffelstr., 10999 Berlin-Kreuzberg, +49 163 4580203). It has a great name, and I initially laughed thinking that my oldest child was a natural born Kimchi Princess, but I found the restaurant pretty disappointing along with pricey. Only one of the wait staff spoke Korean – not that I am any judge of language abilities. I mean, see above! – but I think most diners use this as part of the authenticity criteria. Unsurprisingly, we found the food mediocre: The meat for grilling and the corresponding dipping sauces were flavorless, the pancakes not particularly crisp, and the kimchi was lackluster. The best part of the evening though was when I peripherally noticed a pretty Korean woman walk in accompanied by two men, thinking passively that the beautiful Korean people in Berlin must come here – part of all the hype, and then I happily realised that that woman was my sister-in-law! Boy did that make my little Stella happy to see her beloved Tante Mia unexpectedly! Any other recommendations that I should include on my hit list? Tags: Berlin, Das Stue Hotel, Go Asia, Hanok, Jane, Jin Dal Le, Kimchi Princess, Korean Food in Berlin, Korean food in Germany, Momofuko, Seoul Laden. Bookmark the permalink. http://www.yamyam-berlin.de/‎ near rosa luxembourg platz is trendy but good, although lacking in sufficient spice for me. arirang on Uhlandstraße 194 is quite authentic, in its food and bare-bones lack of decor. Thanks for the tips, Maria. I’ll add these to the list too. What’s a city without a Korean restaurant named Arirang? I went to YamYam too and it was soooo good! 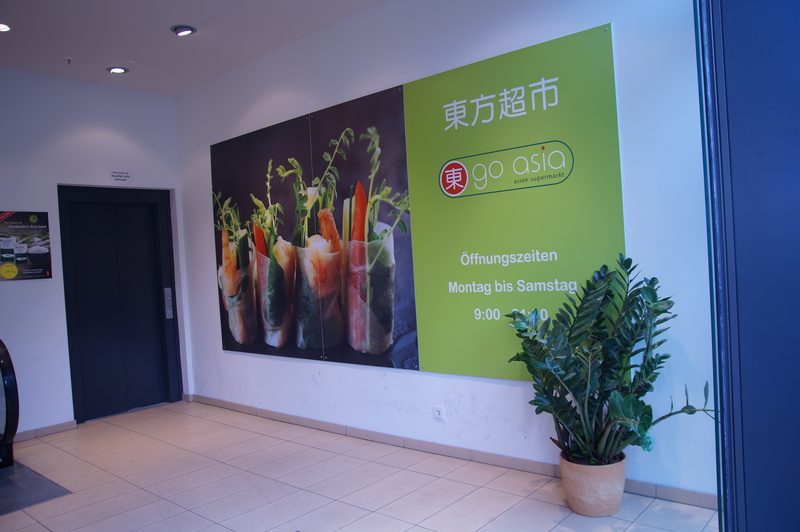 In 61440 Oberursel, we have four Korean restaurants (population 45,000). Restaurant Heidekrug supposedly is the best Korean restaurant around here, but I personally prefer Seoul Restaurant. It’s in walking distance, the service is excellent, and I just love their food. Hope you can add these to your list. There seems to be a boom of Korean places here in Frankfurt. I think shops are trying to market bibimbap as and even healthier alternative to sushi. I’m not complaining! So glad to hear your endorsement of Hanok – we “discovered” it a few months ago and were happily surprised at how good it was…and it’s close to where we live, so yay! Put Furusato on your list for next time – it’s on Leibnizstrasse. I think it’s really good, but would love your opinion of course! Hi Luisa! Hanok seems to be a great, safe option. Lucky you get to have it as neighbourhood restaurant! I’ll definitely check out Furusato next time I am in Berlin. I was hoping that would be at the end of September, but that looks like our move in date for our house in Essen. I’ll keep you posted for sure!